Kavya Reddy has created a beautiful life in Berkeley, but then she can't get pregnant and that beautiful life seems suddenly empty. When Soli is placed in immigrant detention and Ignacio comes under Kavya's care, Kavya finally gets to be the singing, story-telling kind of mother she dreamed of being. But she builds her love on a fault line, her heart wrapped around someone else's child. "Nacho" to Soli, and "Iggy" to Kavya, the boy is steeped in love, but his destiny and that of his two mothers teeters between two worlds as Soli fights to get back to him. 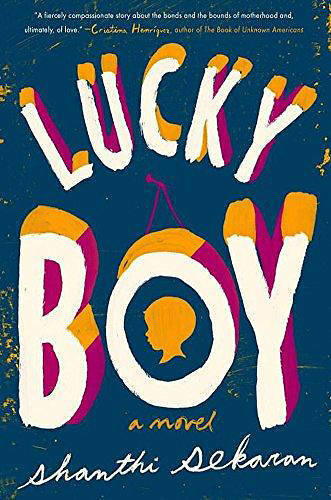 Lucky Boy is a moving and revelatory ode to the ever-changing borders of love.